The use of aspirin in healthy elderly patients as a preventative strategy was associated with no prolongation of long-term disability-free survival compared with placebo. The study group did find, however, that low-dose aspirin of 100 mg per day was associated with lower cardiovascular disease risk over a 5-year period. In the ASPREE trial, community-dwelling adults (≥70 years of age) from Australia and the United States were enrolled. At time of enrollment, participants were free from cardiovascular disease, dementia, or disability. Participants were randomized to receive either 100 mg enteric-coated aspirin (n=9525) or placebo (n=9589). The primary endpoint of the trial was disability-free survival, whereas the secondary endpoint was death from any cause. At a median of 4.7 years, the trial was terminated due to a determination that no benefit would be observed in terms of the primary endpoint if aspirin therapy was continued. One analysis compared the risk of death from any cause in participants randomized to aspirin vs placebo.1 During a median follow-up of 4.7 years, mortality was reported in 1052 cases. This translated to an all-cause mortality risk of 12.7 events per 1000 person-years and 11.1 events per 1000 person-years in the aspirin group and placebo group, respectively (hazard ratio [HR], 1.14; 95% CI, 1.01-1.29). Mortality was attributed to cancer more frequently in the aspirin group. In the aspirin and placebo groups, the risks of cancer-related mortality were 6.7 events per 1000 person-years and 5.1 events per 1000 person-years, respectively (HR, 1.31; 95% CI, 1.10-1.56). Overall, aspirin treatment was associated with an excess of 1.6 deaths per 1000 person-years. 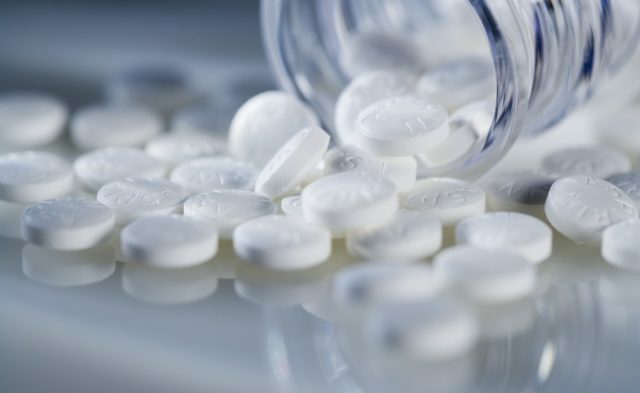 “Other primary prevention trials of aspirin have not identified similar results, which suggests that the mortality results reported here should be interpreted with caution,” the researchers wrote. In another analysis of the ASPREE trial, investigators evaluated aspirin’s effects on cardiovascular events and bleeding in the healthy elderly cohort.2 The rate of cardiovascular disease was slightly lower among individuals randomized to aspirin compared with placebo following a median 4.7-year follow-up (10.7 events per 1000 person-years vs 11.3 events per 1000 person-years, respectively; HR, 0.95; 95% CI, 0.83-1.08). Despite this potential benefit, aspirin was associated with higher rates of major hemorrhage compared with placebo (8.6 events per 1000 person-years vs 6.2 events per 1000 person-years, respectively; HR, 1.38; 95% CI, 1.18-1.62; P <.001). 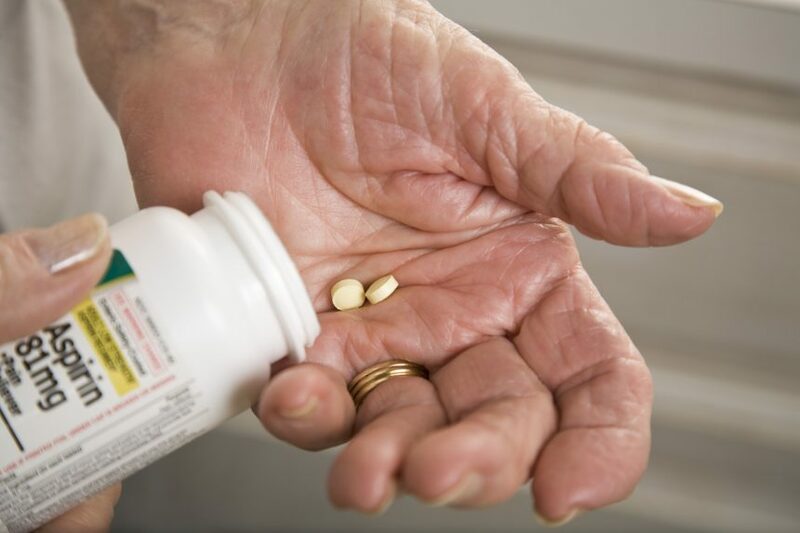 “The trial did not directly address the question of whether healthy older persons who have been taking aspirin for primary prevention should continue its use,” the investigators added. A third analysis compared daily low-dose aspirin (100 mg per day) with placebo in regard to freedom from disability within 5 years.3 No difference was found between low-dose aspirin and placebo in terms of the rate of the composite of death, dementia, or persistent physical disability (21.5 events per 1000 person-years vs 21.2 per 1000 person-years, respectively; HR, 1.01; 95% CI, 0.92-1.11; P =.79). Does Aspirin Cut the Risk of Initial Vascular Events in Patients at Moderate CVD Risk? Additionally, there was no difference between aspirin or placebo in regard to the rate of death from any cause (12.7 events per 1000 person-years vs 11.1 events per 1000 person-years, respectively; HR, 1.14; 95% CI, 1.01-1.29), dementia (6.7 events per 1000 person-years vs 6.9 events per 1000 person-years; HR0.98; 95% CI 0.83-1.15), or persistent physical disability (4.9 events per 1000 person-years vs 5.8 events per 1000 person-years, respectively; HR 0.85; 95% CI 0.70-1.03). 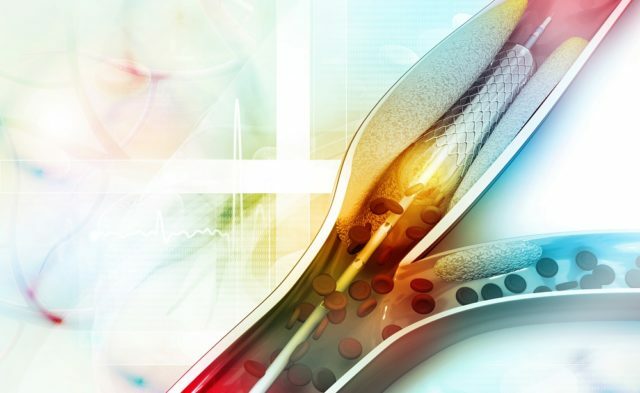 “With regard to the primary end point in this trial, the lack of effect of aspirin was consistent among all baseline subgroups except for frailty,” the researchers commented. Limitations of the trial and the 3 analyses included the lack of treatment adherence in one-third of participants at the end of the study, the limited follow-up period, the lack of generalizability to younger patients and to patients with disease, and the relatively short duration of treatment.